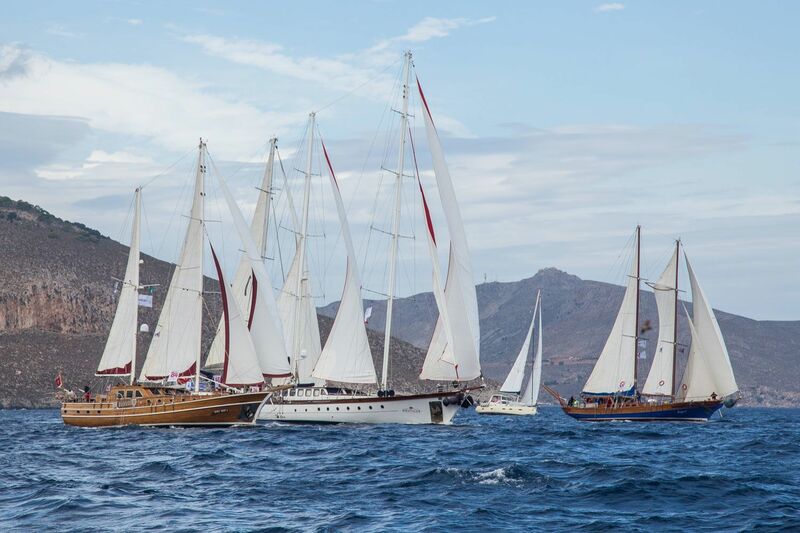 The Bodrum Cup is an international event for classic sailing yachts. 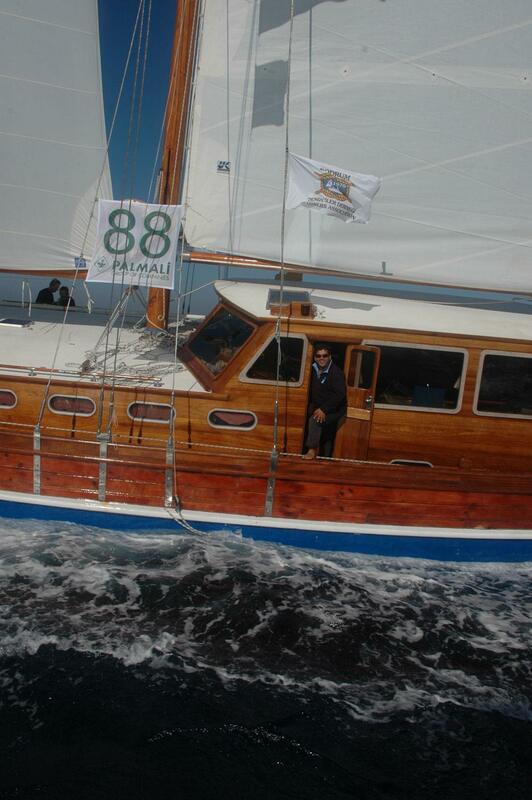 In this regatta participate about 100 yachts to sail 5 legs in 5 days. 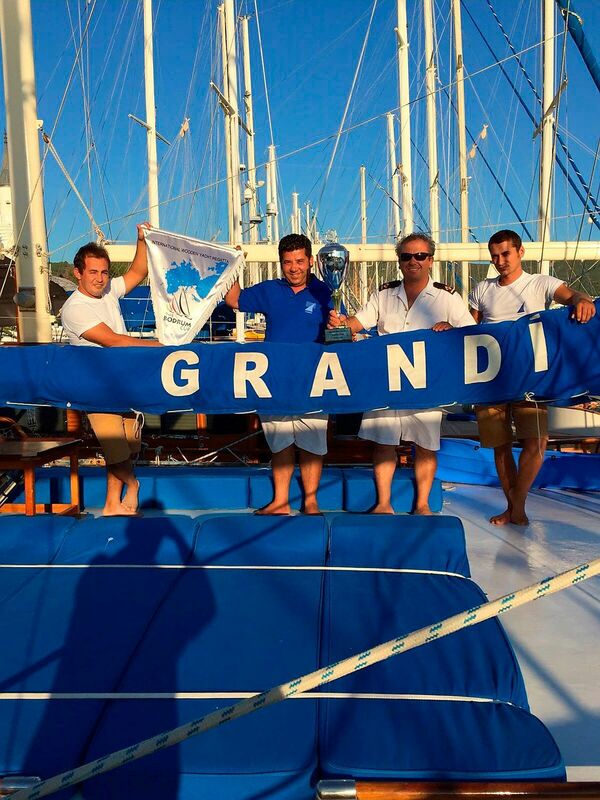 Our yacht Grandi won already 3 times the Bodrum Cup and is holder of the regatta penant. 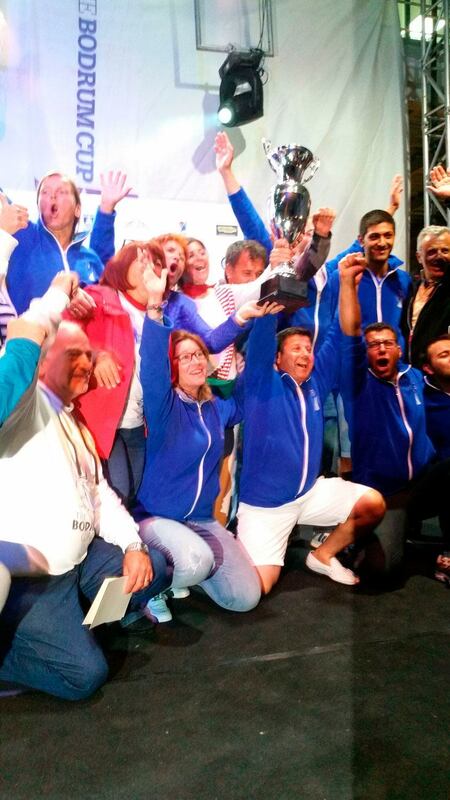 In 2015 and 2016 Grandi was winner of the category Gulets. In 2017 she won a 2nd price and in 2018 a 3d price. 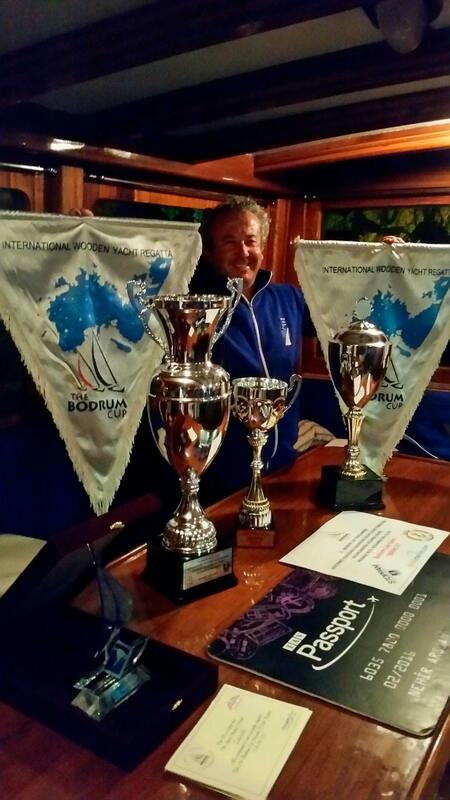 Our yacht Kugu 1 ended several times in the top 5 and was in 2015 winner and in 2016 second in the traditional gulet category. It’s every year an exciting race! And it’s even more exciting to be part of it. As our guest you can join us. Also you will enjoin the events and activities in the evening. 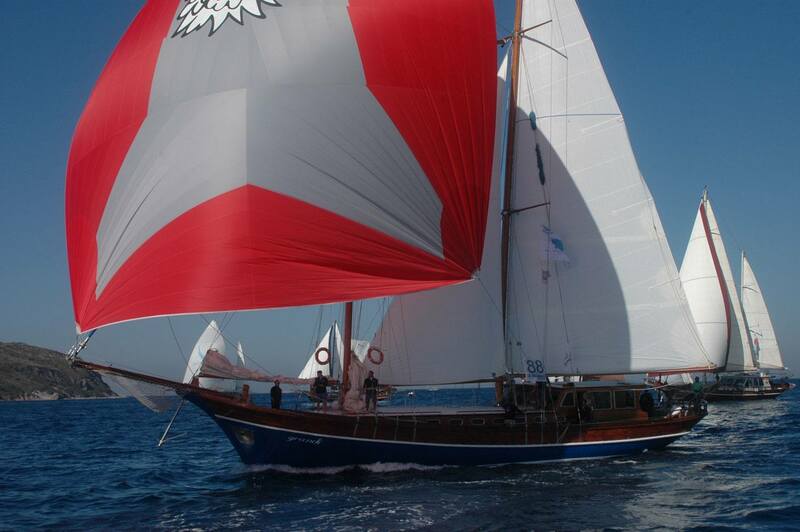 Sailing experience is not necessary. Program 2019 Route not yet available. 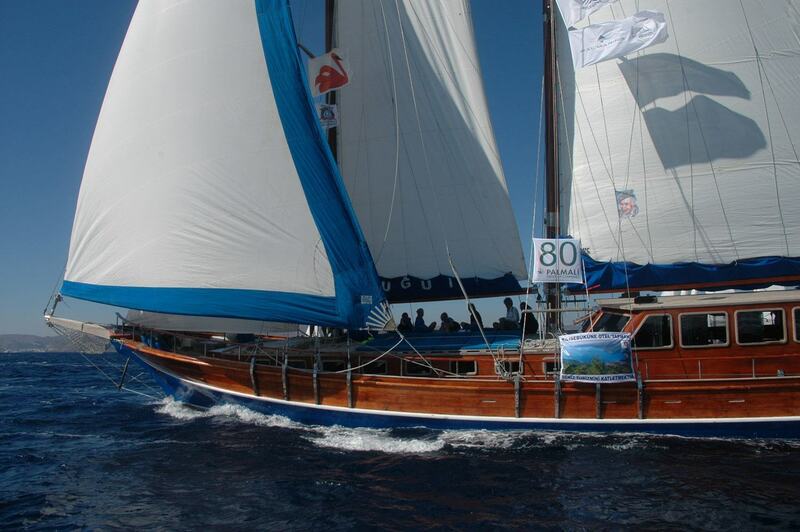 The price of this special cruise is € 825,- per person. Flights and transfers to/from the airport are not included. Transfers can be arranged by us. Single supplement € 275,-. Including: Cabin (double use) with bathroom, bedlinen en towels, entrance fee Bodrum Cup 2019, entrance to concerts and events, all inclusive menu (except 3 dinners in a restaurant). You will also get a special team polarfleece vest.